As I mentioned in my last post there's been a lot of quilt related news generated the past few weeks. Next up, AQS Fall Quilt Week in Paducah, KY. During the summer I found out I had four quilts accepted to hang at Fall Quilt Week. I was completely shocked, shocked!, especially since two of the quilts were Quiltcon "rejects." Unfortunately, I wasn't able to attend Fall Quilt Week because I was camping through Thursday and would have missed most of the show, via social media, if some kind ladies on Instagram hadn't had sent me pictures of my quilts, thank you Connie (@gynconnie), Marla (@pennylanequilts), and Judith. Check out their quilts on IG! I decided to enter four quilts thinking my chance of getting a quilt accepted was the same as winning the Lotto but then all four were accepted and man was it expensive!! In the future, I don't think I will enter more than two quilts into an AQS show maybe only one. Almost all the expense was the requirement to ship each quilt separately, I didn't know that before I entered. Overall I agree with most of the comments, especially those regarding Chevrons Revisited and Optics. For example I've made 60 quilts between Chevrons Revisited and Insomnia my most recent finish (see below). The only comments I'm a little dubious of are the two comments regarding the density of my quilting. I specifically left large areas unquilted on Peaks + Horizons to create stylized mountains and while the pink sections of Office Daydreams is a 1 1/2" diamond grid with double lines 1/8" apart the rest of the quilt was quilted with either 1/2" or 1/4" straight lines, I think that is fairly dense. All in all I value judges comment immensely and have used their comments to improve my quilting. I appreciate every word and all the time and work that they put in to judge shows especially a show this size. 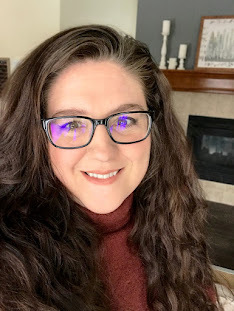 To wrap it all up, there is still time to check out Amy Ellis's Blogger Quilt Festival on her site Amy's Creative Side. 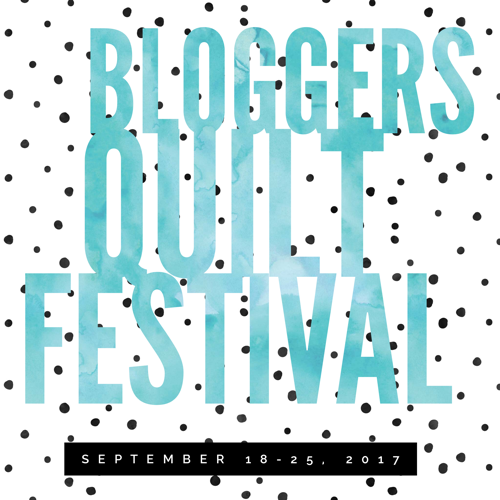 Along with the Blogger Quilt Festival Amy Ellis has also been working on creating and launching a new magazine, Curated Quilts! 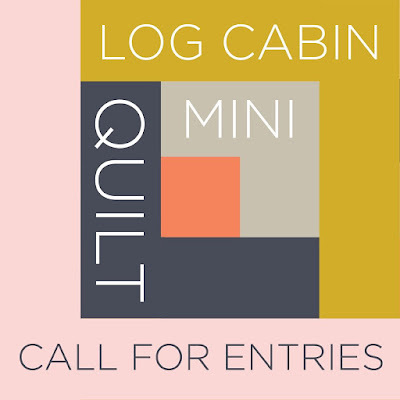 I am so honored to have a mini quilt chosen to be in the very first issue as part of their mini quilt challenge so when it was announced they were sponsoring a second log cabin mini quilt challenge with a fabulous color palette I couldn't wait to get started. I guess I was so excited I couldn't sleep, hence the name... ok, ok that's not entirely true my daughter came into my room in the middle of the night and woke me up. While she fell asleep very quickly I was wide awake at 3am! I suffered through trying to get to sleep for an hour and finally got up at 4am made my way to the sewing room and finished up my mini quilt top. Later that morning I packed up and we headed out on our camping trip. The time away gave me the much need space from my project to come up with a quilting plan and when I got back I finished it up. There is still time to enter if you're interested in taking part in this challenge and the chance to have your quilt published in the second issue of Curated Quilts. Really quick one more quilt related adventure. Have you seen Fresh Quilting TV show? Are you a member of the MQG? Have you caught it on your local PBS station? Season two is out and Office Daydreams makes a quick appearance in episode 7! 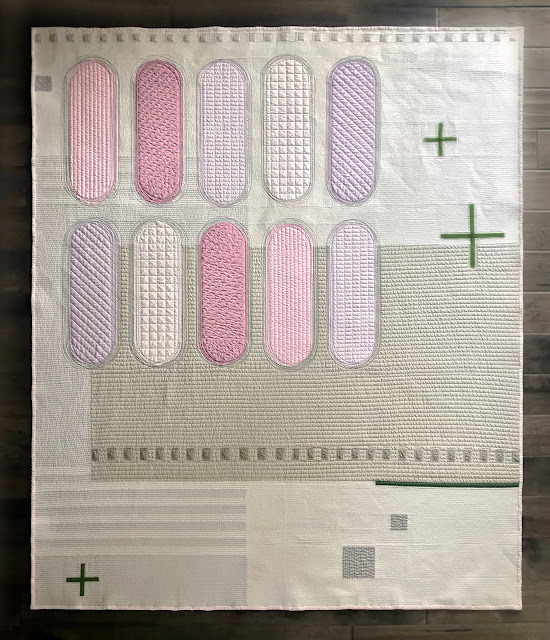 I love this series because so many modern quilters that inspire me are featured giving tips and tricks on how to design and make some of their amazing quilts!! It's free to MQG members on the resource page and even airs on several local PBS channels. I just love the pop of yellow...great job! Thanks Barb, it really is a inspiring color palette. Congrats on all of your quilts that hung at AQS! I did not know about their shipping only one quilt in a box rule, that really does make things really pricey. Yeah it shocking and not in a good way. I suppose they have it posted somewhere but I didn't read through all the information prior to entering my quilts. LOVE the quilting you did on this mini!! Thanks for sharing the story of its name. Thank you! I'm glad you like it I took two other straight line patterns before settling on the orange peel.